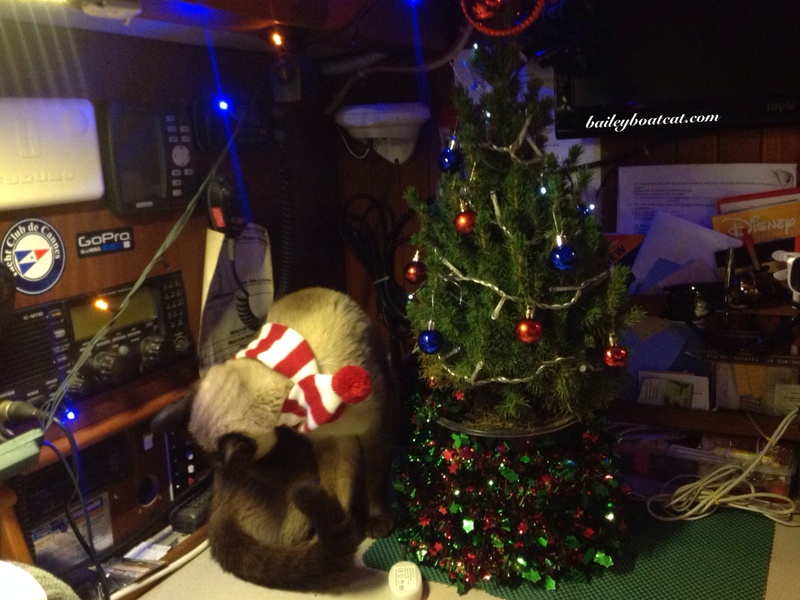 ‘Twas the Caturday before Christmas! I’m so excited furiends! Christmas is coming! Today we’ve finally put up our Christmas decorations! I helped of course. I love our little boat sized tree. Then I remembered to pop on my winter scarf! Our mast is the big tree! I hope you’re all having a very happy Christmassy Caturday! « April ’14 -the busiest and best month! Great decorations and you look adorable as always. Happy Caturday, Bailey! Pawsome trees. How festive! In fact, more festive than around here! My human STILL hasn’t gotten out the decorations! She needs to get working! 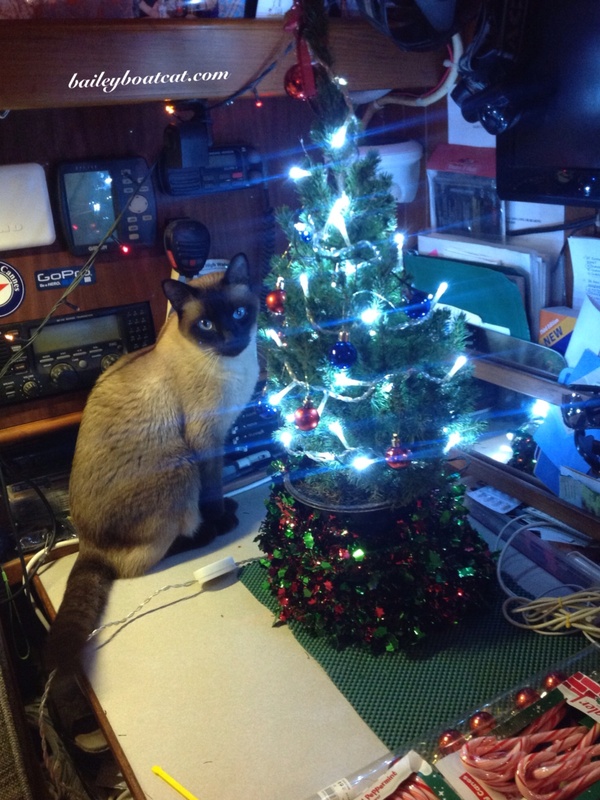 We love your tree, Bailey. It’s so pretty! 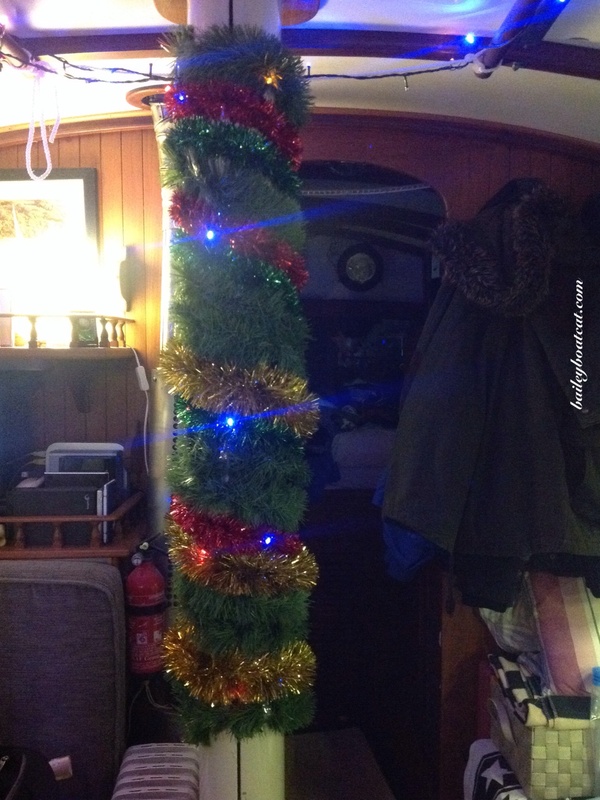 brilliant, I’ve never seen a festive boat before – love the trees! I reposted the first picture of you next to the tree over at orangemarmelade. I hope you’re having a wonderful Christmas! !